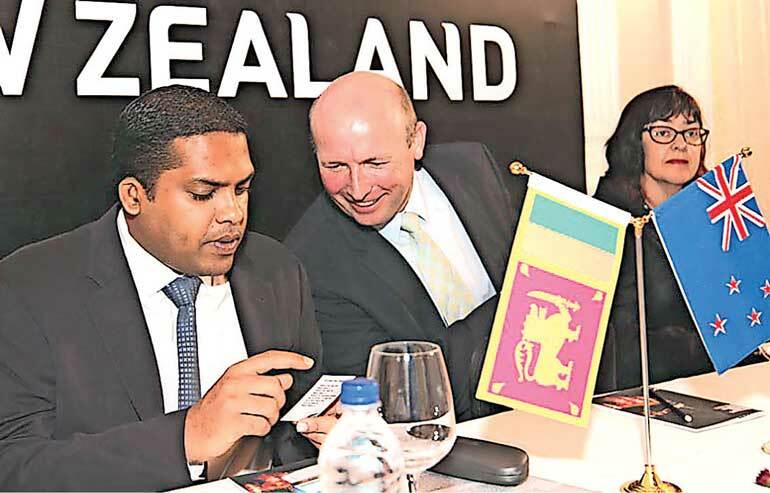 A business delegation of 14 New Zealand companies arrived in Sri Lanka on 6 March to further strengthen business links between the two countries. Sri Lanka is New Zealand’s 23rd largest goods export market and is worth NZD$ 254 million. New Zealand is Sri Lanka’s 54th largest goods export market worth NZD$ 55 million. New Zealand’s top exports to Sri Lanka are milk powder, butter and fruit. Sri Lanka’s top exports to New Zealand are tea, retreaded tyres and gloves. Led by New Zealand Minister David Bennett, the delegation comprises some of New Zealand’s leading Corporates including Staah, Tait Communications, Vista, Powershield, Aeroqual, Framecad, Pan Pac Forest Products Limited, Color Communications, Precision Medicine International Limited, Pictor, Fisher and Paykel Healthcare, Syft Technologies, and the International Aviation Academy of New Zealand. The New Zealand Trade and Enterprise, with support from The Ceylon Chamber of Commerce will be assisting the delegation to explore the possibility of forging new business ventures with their Sri Lankan counterparts.